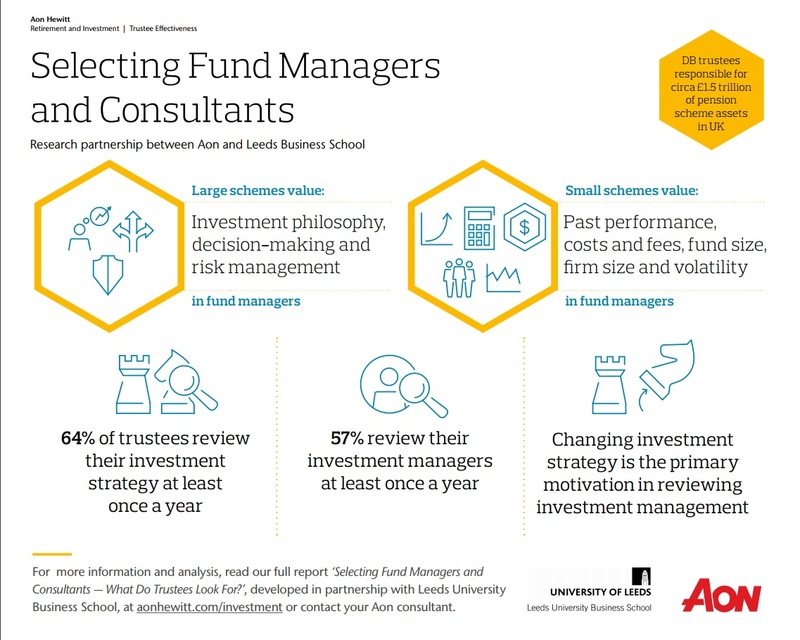 Aon's latest research, in partnership with Leeds University Business School, puts the relationships between trustees and their fund managers and investment consultants under the spotlight and gives insights into the interactions which are fundamental to the investment processes of pension schemes. 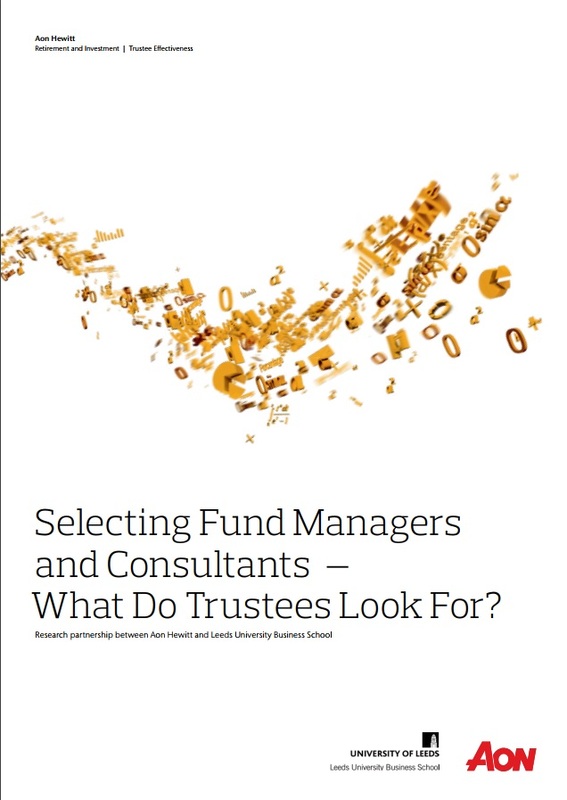 64% of trustees review investment strategy annually and 57% review their investment managers annually. Email us at talktous@aon.com or call 0800 279 5588.